A pretty purring feline. 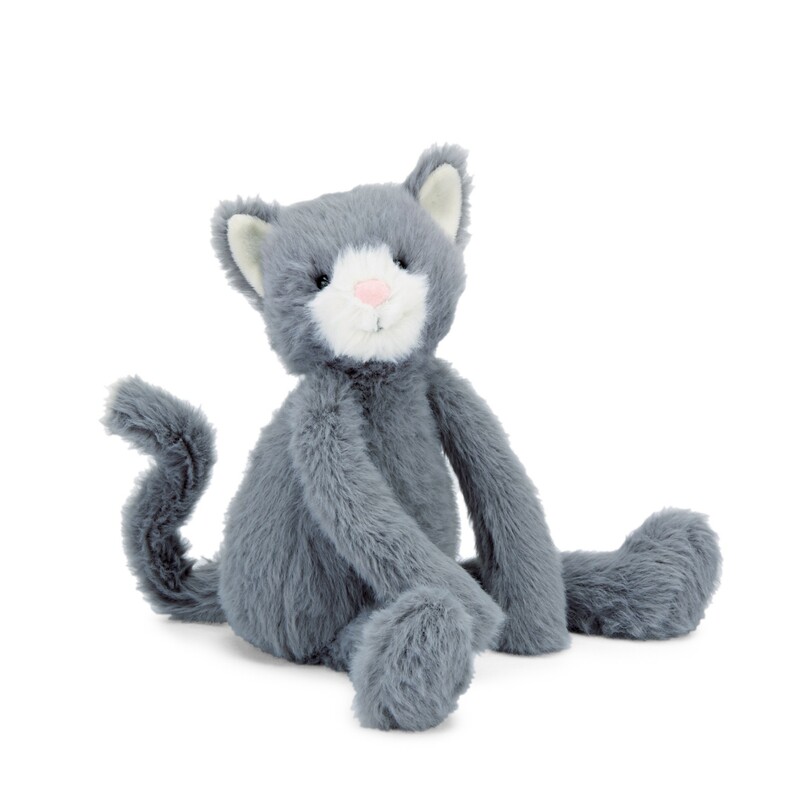 Jellycat Sweetie Kitten is a blue-grey cutie cat, with long, beany arms and legs for pouncing and soft tussled fur for cozy cat naps. This pretty kitty sits up at attention, ever curious about the world, her eyes full of mischief. With pink suede ears and a nuzzly cream muzzle, she's just adorably giddy. Tickle her tail and cuddle her tight and she'll tell you lots of silly stories all night!